The Importance Of Rest & Recovery - Welcome to SarahKesseli.com! Today I decided to spend a little time talking about rest and recovery. I have received a few emails lately from people asking me how often they should rest from their workouts. My answer to that is always, “it depends.” It depends on how intense you workout, what type of exercise you are doing, etc. Most of the time I tell my clients to take either 1 day off and just relax and recover or make that 1 day an active rest day. Active rest is doing something light such as walking, yoga or stretching that will make you feel good but not overly stress your body. Rest days are very important in order for your muscles to repair and recover. This allows you to get back in the gym on Monday and destroy your workouts all week long 😉 It also helps to give you a break mentally and allow you to find balance with your workouts and the rest of your life. 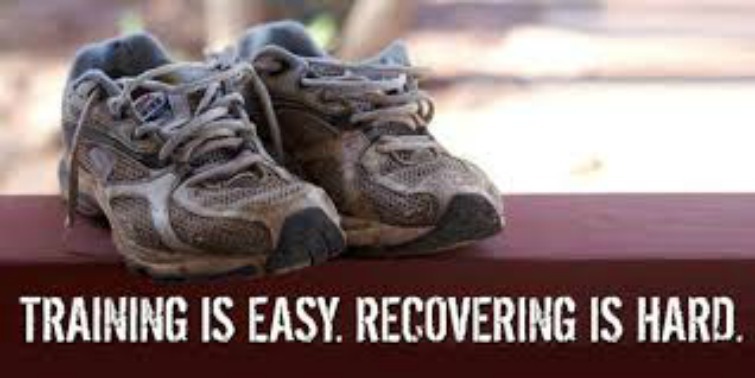 If you do not allow yourself to recover, eventually your body will become over trained. But how do you know if you are at that point? Some of the signs and symptoms are: no longer look forward to your workouts, constant muscle soreness, insomnia, depression, irritability, decreased appetite, increased injuries, etc. If you are experiencing several of these you could very well be over trained. So many people have long hit this point, but still continue to push through, myself included! I just finished a week off from weight lifting because I was feeling many of the symptoms above. I think it is harder to force myself to take a break than it is to push through the workout, but as a professional I know better and gave my body what it needed! In the end I came back this week stronger both mentally and physically! Some great ways to recover, whether it be 1 day off or a week are: lots of rest/sleep, massage, getting in proper nutrition (calories), using hot and cold therapies such as ice bath and heating pads for sore or injured areas, meditation and yoga. The overall conclusion is to make sure that you are giving yourself the proper rest, nutrition and hydration that you need in order to keep your body fueled and energized. We are each different people, with different bodies, thus making our need for rest and recovery different. LISTEN TO YOUR BODY…..it will never steer you wrong! *How many days a week do you spend resting/recovering? *Have you ever felt any of the symptoms above? *Have you ever reached the over trained phase? How did you recover?